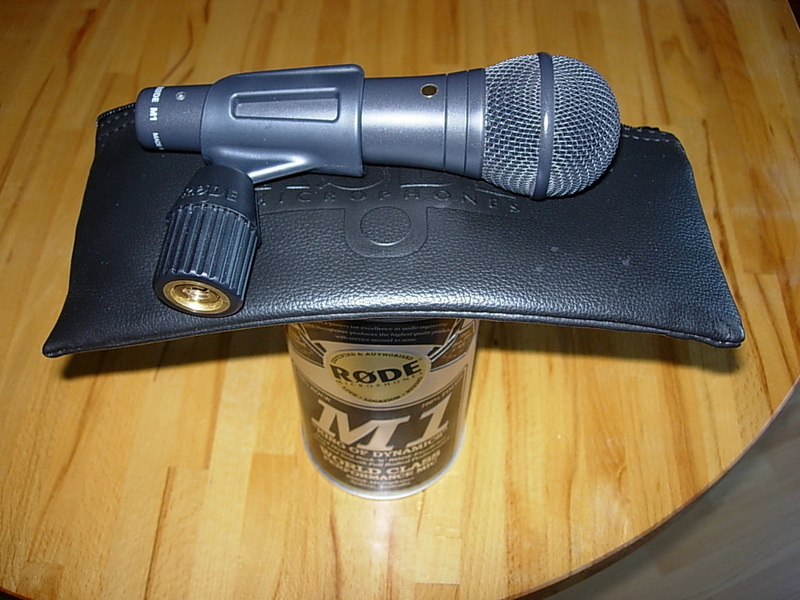 M1, Dynamic Microphone from RODE. 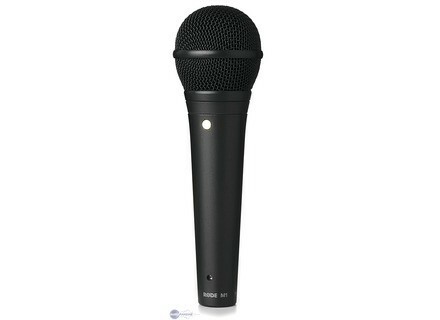 The M1 is a great and sturdy dynamic mic that is good for multiple applications. It is about the same size as an SM57 except it has a larger diaphragm with a round metal mesh casing. I used to play drums, but not so much now that i've started engineering the last 3 years. I got the mic at guitar center. I went there not knowing what mic i was going to buy, but i knew that i didn't want to spend a lot of money. I was looking at what they had and i saw the Rode M1. I had never used this mic, but i had used other Rode microphones before and really liked the results I got. It only cost around $150 and it was definitely worth it. It also comes in a cool metal container. There is a lot to like about this mic, it sounds great on a lot of things. It is great for recording acoustic guitar, it picks up a very full range of frequencies and sounds very full. It is also great for vocals. I've used it for vocals live, and for recording voice overs and it sounded very good on both, since it has a nice low end to it. I've also used it for an inside kick drum mic and it sounded good on that. I'm sure there are many other things that it sounds good on too. There is really nothing I don't like about the Rode M1. This mic is a very well put together. It has a nice weight to it and feels like it could take a dropping or two. It has a very dark gray finish to it, almost black. It has a pretty large metal mesh ball for the top that houses the diaphragm. When holding and using it, you would think that it costs more than it does. Overall this is a great microphone. I recommend it to anyone who is looking for a dynamic mic to add to there arsenal, and doesn't want to spend a lot of money. This is the new competitor SM58! Both say that the M1 is built to last, as Rode offers a guaranteed life. it's a great quality price ratio. The SM58 will tremble before the challenger. 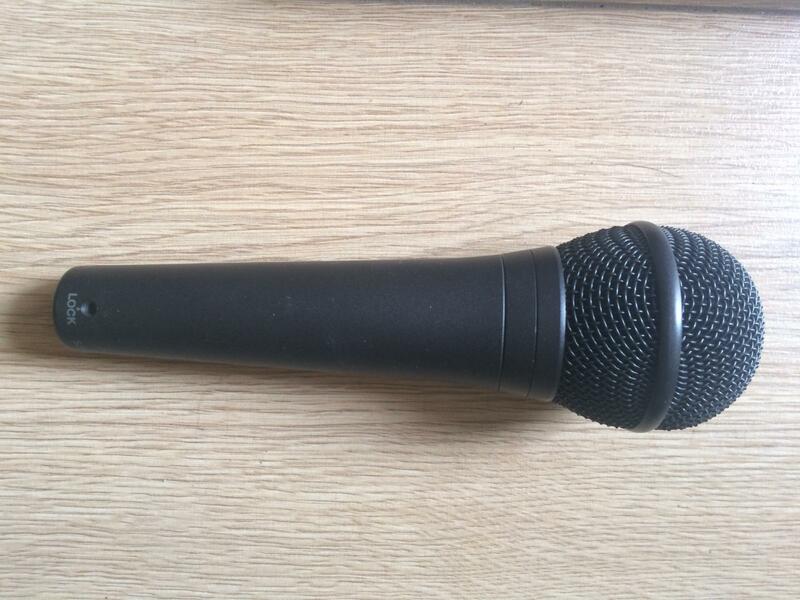 bernard 71's review (This content has been automatically translated from French)" neutral micro, very robust, very good to me"
lololuppin's review (This content has been automatically translated from French)" Excellent"
Dynamic vocal microphone that is super easy to use, it sounds very soft and precise, excellent midrange and excellent treble, the bass is very nice, a very good alternative to the actual standard mics, very good resistance to feedback and something very important: this mic, as well as the supplied accessories (clamp and storage bag), are of impressive quality and will rest long time. I use it only for singing and for that, it's an excellent choice. Buy it without hesitation, plus, for the money, it offers an unbeatable performance, at least for me. I tried a bit of everything you can do with a vocal mic and it belongs undoubtedly in the top five live singing microphones. It's is a very versatile and robust product. Trying it, is buying it. 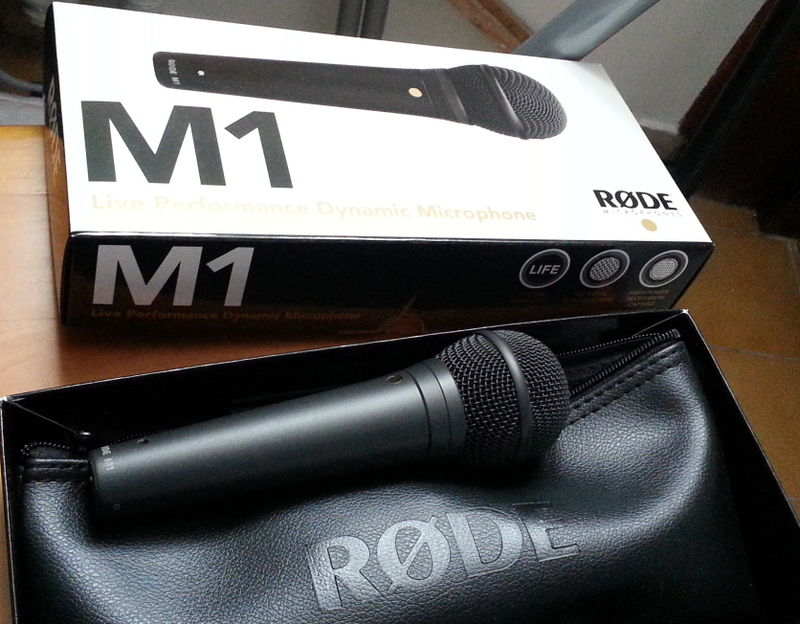 RODE Introduces the new M1 live performance dynamic microphone.